This brilliant Moore Street Apartment is on the market to sell and is set in a prime location one street from the beautiful beach at Trinity. Located on the first level of this small complex of six apartments and overlooking the sparkling inground complex pool. This property can be let out either long term (rental appraisal of $340 - $350 per week) or furnish and utilise for short term letting or live in it yourself and enjoy the wonderful tropical lifestyle. 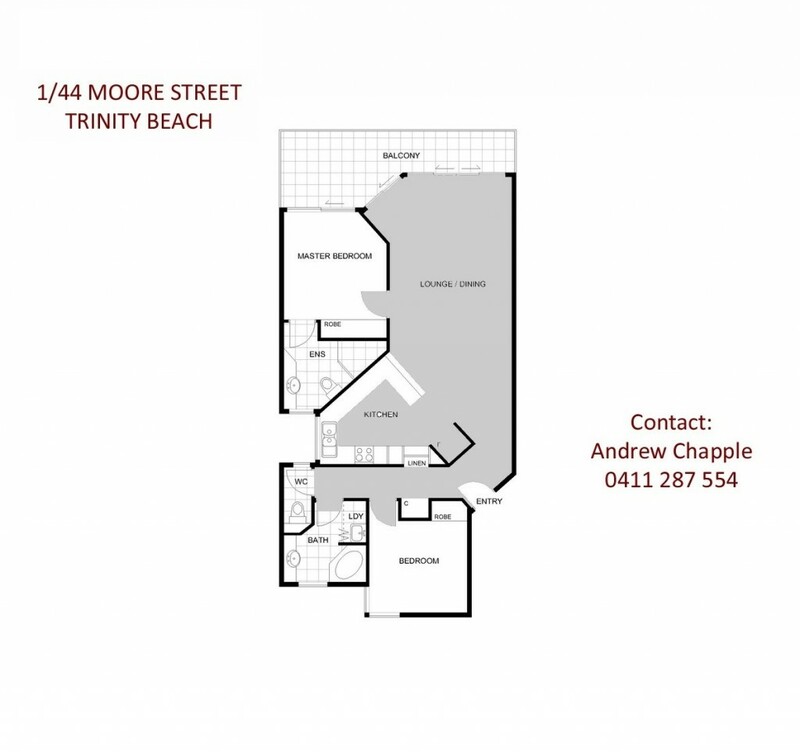 Call Andrew on 0411287554 to organise your private inspection of this terrific apartment. Trinity Beach is a beautiful beachside suburb of Cairns and is complete with a fantastic selection of shops, cafes and restaurants, primary school, beautiful beach, playgrounds and skate parks for the kids. Major shopping centres only a few minutes drive up the road. Its all here and only 20 minutes from the Cairns International Airport and 25 minutes to the Cairns CBD.